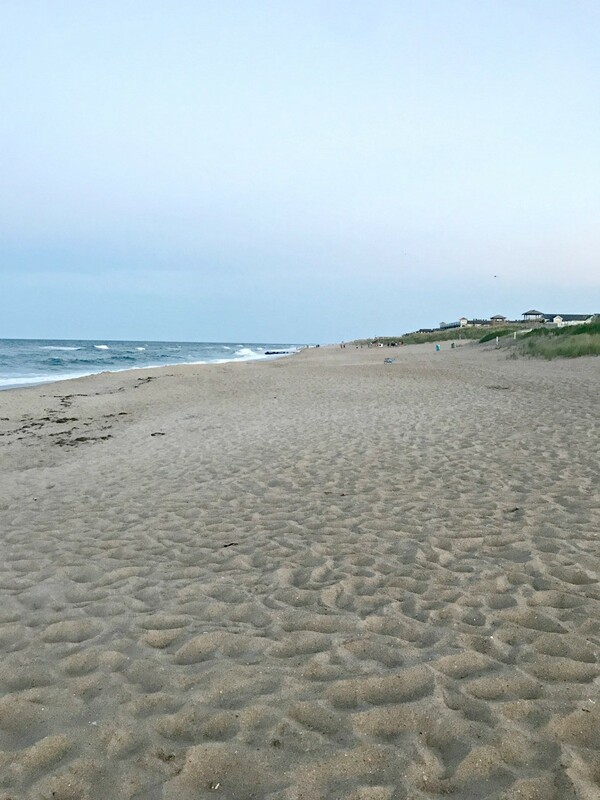 Last week my family and I headed from Ohio down to the Outer Banks for our first visit. 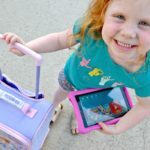 The drive is about 12 hours from our house and with two children in the car, it was definitely a long drive (see my tips for traveling with kids HERE and HERE). I will admit that when I was planning our trip to Outer Banks, I found it hard to find tips on where to stay, what to do, etc. 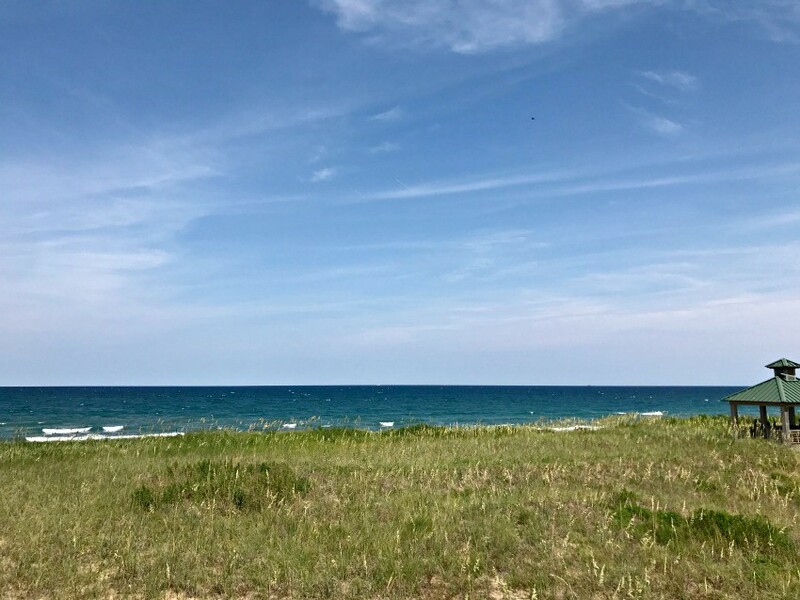 It all seemed a little non-specific and I think many of you are wondering– where to stay in Outer Banks? Am I right? 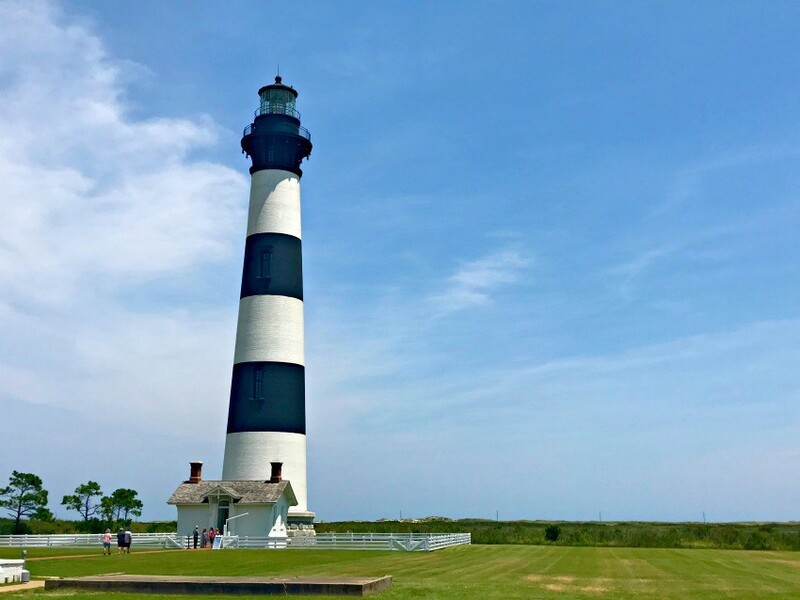 Well, I’m not going to answer that question specifically for you today, but I am going to give you lots of info and tips for visiting the Outer Banks of North Carolina! I can’t tell you guys WHERE specifically, but I can help you understand Outer Banks a little bit more. So here’s what people didn’t tell me when I was looking–there are HUNDREDS if not THOUSANDS of options for places to stay in the area–hotels, motels, little houses, big houses, condos/apartments, and more. Outer Banks consists of this LONG stretch of highway/roadway and the ocean lies on the same side of it all (on the east side) and the sound lies on the other side (the west side). We stayed on the ocean side, so I’m not going to speak about anything sound side. Ocean side has cities like Corolla, Duck, Kitty Hawk, Kill Devil Hills, Nags Head, Hatteras and more. Corolla and Corova are gorgeous, but they are a little further out and the area is less commercial. Many of the houses in this area require that you have a 4×4 vehicle in order to access the homes. 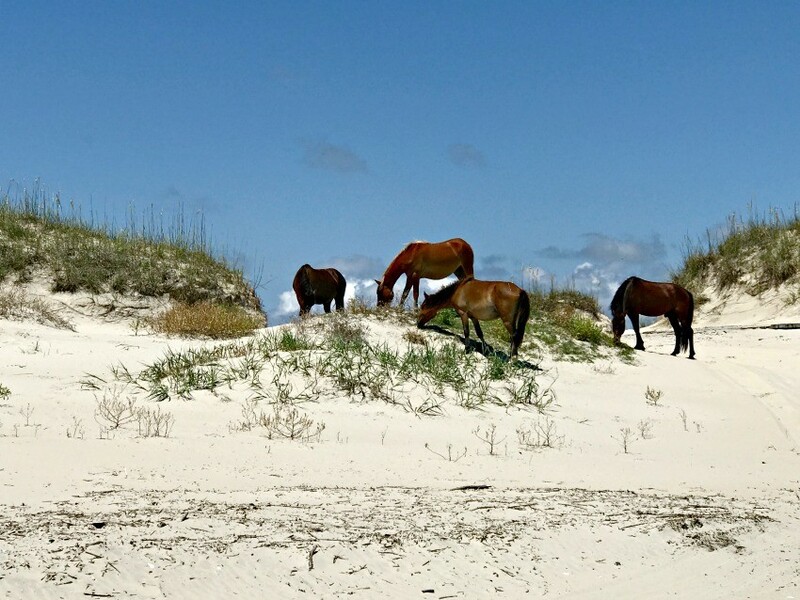 There isn’t much close by in the way of places to eat or shop, so if you’re looking for a quieter, more remote and relaxing option, close to the wild horses and unfettered beaches, then this is your place! Duck and Sanderling are very pretty, loads of gorgeous homes and great shopping and restaurants near by. This area appears to be a little more expensive and exclusive with lots of higher end shops and restaurants. Duck is also on the sound side, but has beach access to the ocean, as well, so you have the best of both worlds. The homes in Duck looked very nice, but we were didn’t like the traffic on a one lane road heading in and out of Duck and Corolla. It took quite a while to get in and out of the area during the week. Going further south, you’ll hit Kitty Hawk, Kill Devil Hills (where we stayed), and Nags Head. This area is much more commercial than the northern parts I just mentioned. 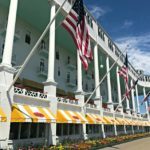 There are LOADS of homes and hotels in the area to stay as well as tons of options for dining, shopping, stores for everyday stuff and more. In this area you’ll be close to the Wright Brothers Memorial, Jockey Ridge State Park, and more. The beaches in the area all extend the length of the shores and connect. The beaches are pretty and while populated, we never felt like it was ridiculously crowded. We stayed at a hotel on the beach in Kill Devil Hills and really enjoyed our stay. Further south is Hatteras, Avon, Rodanthe and the like. I mentioned that we didn’t make it past Hatteras. It’s all very pretty, but also appeared to be more remote, so you’d want to consider whether you want close proximity to every day things of if you’d prefer a more relaxed vacation without loads of people nearby. Hopefully this helps a little with choosing where to stay in Outer Banks! 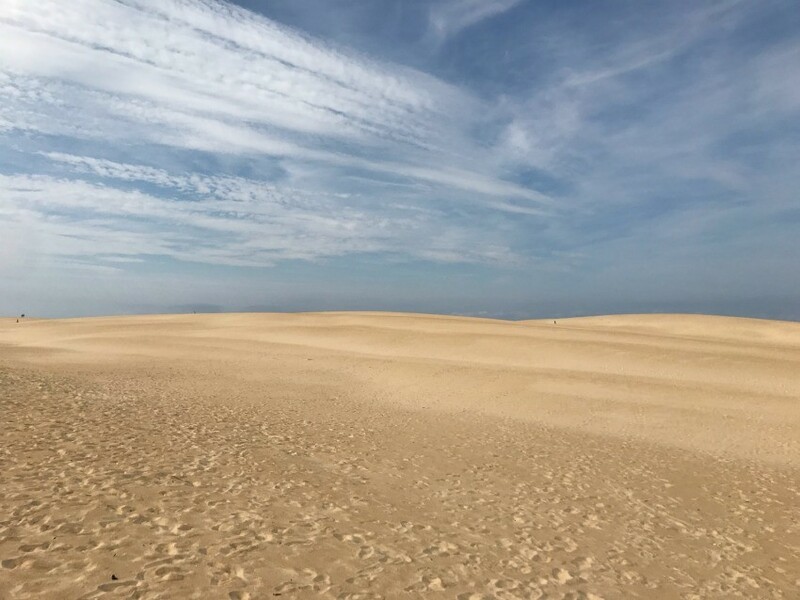 Jockey Ridge State Park: don’t miss this! The giant sand dunes make it feel like you’re in the middle of the desert. It’s amazing, but know that it is a little taxing and the hills in the sand are hard to get up, so it’s not for the faint of heart. Wright Memorial: we drove by, but didn’t actually stop. I hear it’s worth seeing though. Corolla Beach: we loved this! 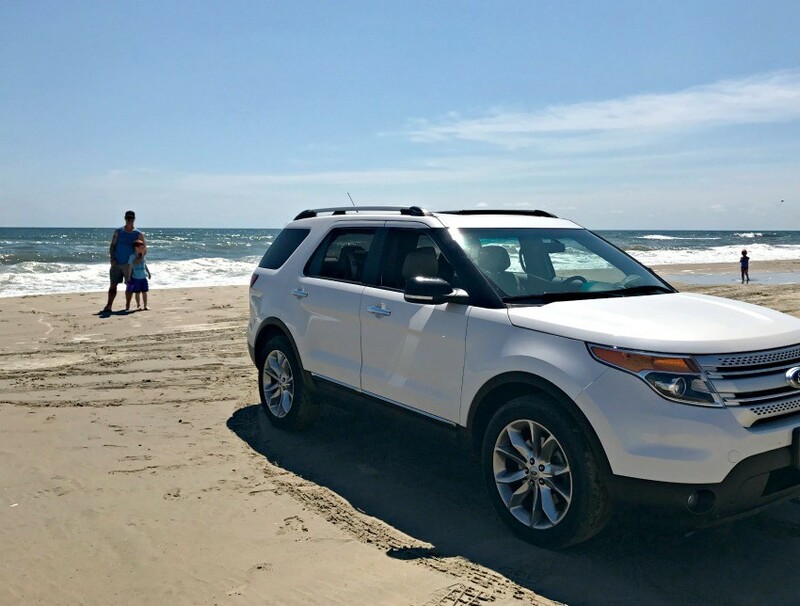 We took our 4×4 Explorer on the beach and drove for a while. We stopped and swam in the ocean and saw the wild horses, it was a great day trip and the kids really enjoyed it. 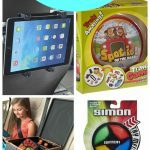 Pack a lunch, bring a grill and cookout, and enjoy the day with a unique way to enjoy the beach! We loved this! (4×4 vehicles are required for this, but you can also rent them if you don’t have one. I’d avoid paid wild horse tours as it’s just not the same). 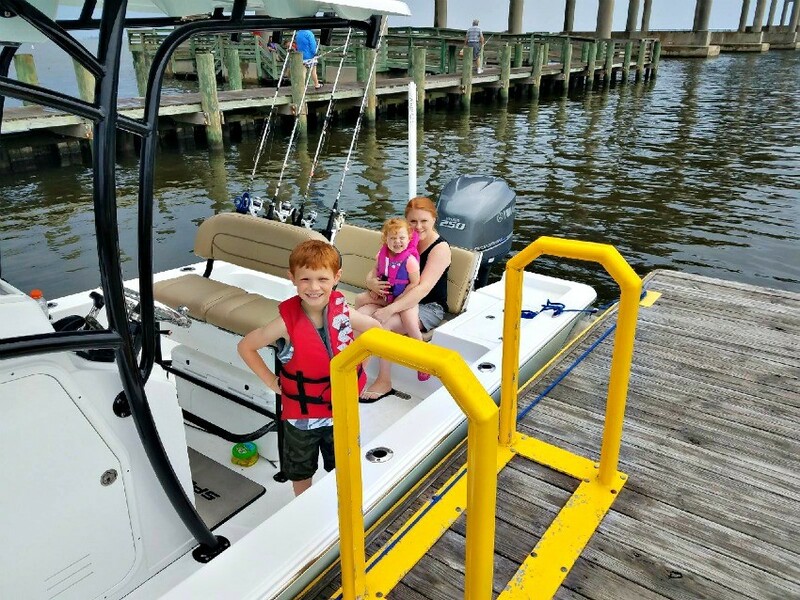 Hire a fishing charter! We went out with Captain Marc at Rock On Charters on a Family Fishing Trip. 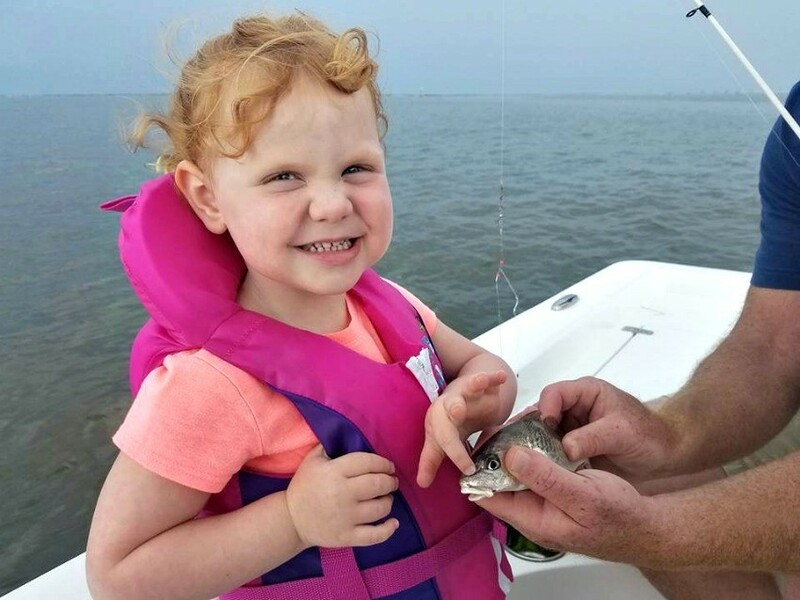 He’s the BEST Family Fishing Charter in Outer Banks–our kids, age 7 and 3, had a great time and Marc showed us a new side of OBX that we couldn’t have seen any other way. Captain Marc was our splurge on the trip and we got lucky by booking him the week we got there, but I’d suggest booking him a few months out if you think a fishing trip would be fun. 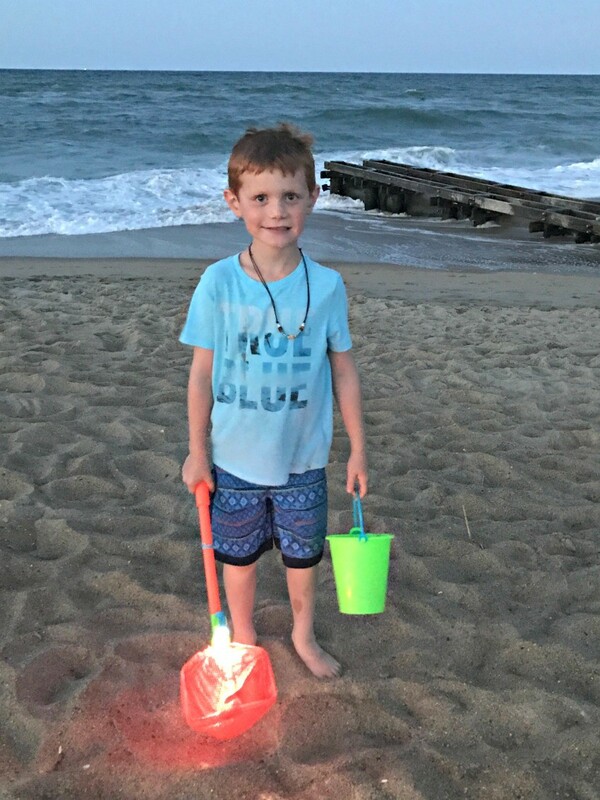 Go ghost crabbing on the beach! 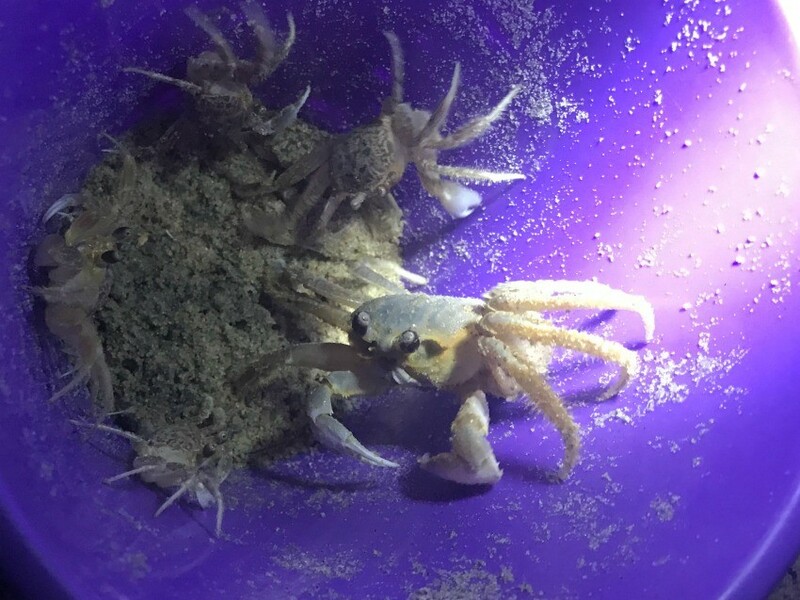 My kids brought their sand pails and a net and each day when the sun started to set we headed out crabbing. It was really fun and the kids enjoyed trying to catch the biggest crabs! You don’t need to sign up for a tour to do this (don’t let anyone fool you!). Just enjoy the trip! I’m usually the person that plans every single part of the vacation, but we went into the week and just let ourselves explore the area. 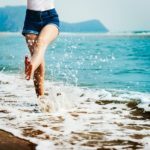 I hope this helps you with planning your next OBX vacation! Leave your tips, questions, and comments below and I’ll help out with anything that I can. Does one need to beach permit to drive on the beach? We have a 4×4 Explorer. Hi Leslie, we too have the same vehicle and it did great on the beach. No permit is required, but they do have cops and tow trucks sitting and waiting for people who venture in and get stuck and don’t have 4×4 vehicles–it’s pretty funny. Definitely a must do!